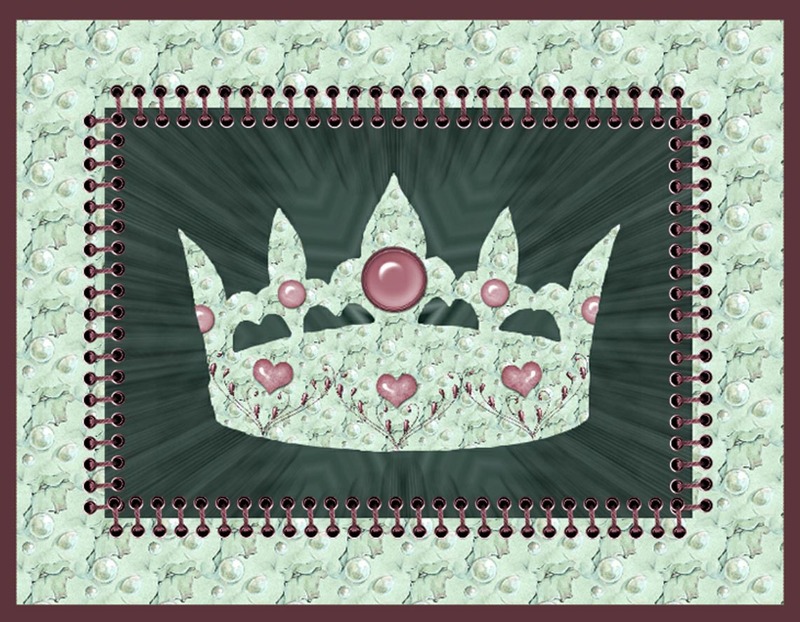 The crown pattern and background paper is from Card Creations Plus CD Fairy Gemstones. The embellishments are from Pam Lefors. The dark green background was created in CAP2 by using the kaleidoscope and zoom blur functions on another of Pam's papers. Wow that's lovely Caroline and a great interpretation of our challenge this week. Thank you for continuing to support us. 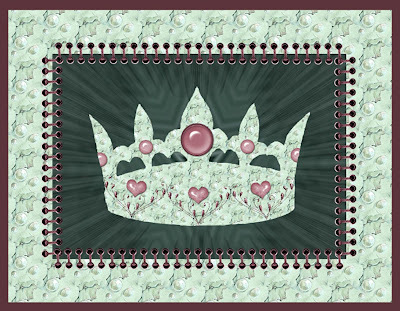 Love the crown Caroline and the bp's are super. Thanks for joining in with us this week. beautiful Caroline, love the kits you have used. Great card Caroline. Love the kaleidoscope effect. I bet you could make a crown like that from the cd to wear on your birthday. lol Thank you for joining us again this week. Wow. So different. Thank you for joining in with us Caroline.